OYO currently has close to 176,000 rooms in India and another 322,000 rooms in China, according to a latest analysis by Hotelivate. 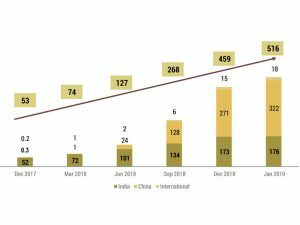 It has grown considerably in China in just 12 months since January 2018, apart from its home market, India, and other new international markets. Additionally, OYO has a presence in Nepal, Indonesia, Malaysia, the UK, the UAE, and more recently, the Philippines. Totally, OYO has over 515,000 rooms across above 17,000 hotels worldwide, with a goal to be the largest and most preferred hotel chain for the budget mid-scale segment by 2023, globally. For the first time, an Indian hospitality company is growing at an indisputable scorching pace. Skeptics from the ‘traditional’ hotel industry have scoffed at the OYO model, pushing it aside with arguments such as, it is simply an aggregator of budget hotels; it has a poor quality of service; or its deliverables are not comparable with the mainstream hotel industry, as stated by the report. 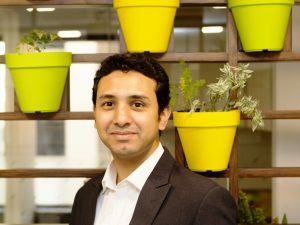 OYO started off as an aggregator back in 2013, but in the past five years, it has evolved into a full-scale hospitality company that operates exclusively franchised and leased assets, growing each day through its innovative model. 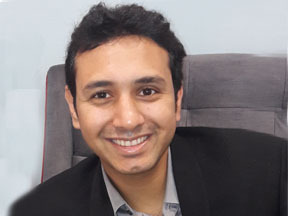 The Fern Hotels & Resorts is all set to open 20 Fern and Beacon Hotels across India and Nepal in the year 2019, said Suhail Kannampilly, COO, The Fern Hotels & Resorts. Out of these 20 hotels, two will be opened in Nepal – one in Kathmandu and second in Bharatpur, he informed. This will take the tally of the hotels managed by the group to 76, on our target to open 100 hotels by the year 2020, Kannampilly said. 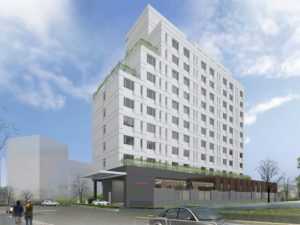 The 20 new hotels expected to open in the current year are located in Aurangabad, Bengaluru, Bharatpur (Nepal), Bhopal, Goa (Verna), Indore, Karad, Kathmandu, Kolhapur, Kumbhalgarh, Lonavala (2 hotels), Manali, Morbi, Polo Forest (Gujarat), Sarnath (Varanasi), Satara, Shivamogga, Solapur and Surat. The year 2018 witnessed The Fern successfully foraying into cities like Belgaum, Bhuj, Dwarka, Jamnagar, Madhavpur (Gujarat), New Delhi, Parbhani (Maharashtra), besides taking over the operations of a hotel in Kathmandu. The footprint of the brand was further established in locations like Goa, Jaipur, Rajkot and Udaipur, where the company opened second and third hotels in the same city. 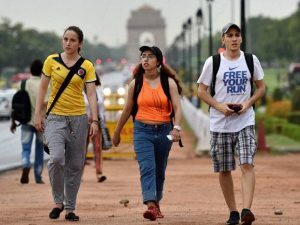 In a bid to lure Indian tourists, the Embassy of the Socialist Republic of Vietnam in association with Om Tourism organised a roadshow in Delhi on the theme ‘Vietnam- A charming destination for Indian tourists’. HE Pham Sanh Chau, Ambassador of Vietnam to India, Nepal & Bhutan, revealed that around 110,000 Indian tourists travelled to Vietnam in 2017. He affirmed that the number is estimated to increase in the coming years. “Vietnam is home to eight UNESCO world heritages, well preserved historic relics and beautiful beaches. 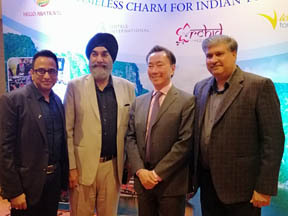 Indian travellers can find the affulence of Indian culture in Vietnam through Hindu temples in Ho Chi Minh or at the My Son sanctuary with an abundance of Indian restaurants,” he added. The event proceeded with a product presentation by the five Vietnamese partners namely, Victoria Tour, Hello Asia Travel, Go Indo China Tours, Melia Hotels International and Orchid Global. The event witnessed an active participation from several trade partners and tour operators around the city. 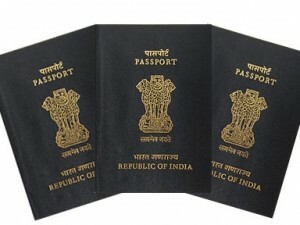 India has secured 81st spot on the 2018 Henley Passport Index, with visa-free or visa-on-arrival access to 60 destinations. The current ranking is an improvement from last year’s, when India stood at 86. The 2018 Henley Passport Index is a ranking of all the passports of the world according to the number of countries their holders can travel to, visa-free. As per the index, Indians have access to travel without a visa to 60 countries, which includes Bhutan, Mauritius, Nepal, Fiji, among others. Japan has overtaken Singapore in terms of the most powerful passport. 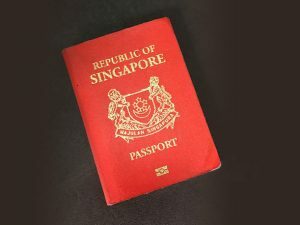 The island country now enjoys visa-free/visa-on-arrival access to 190 destinations, compared to Singapore’s total of 189. ‘Japan and Singapore have been neck and neck on the index since they both climbed to first place in February — following a visa-exemption from Uzbekistan — and pushed Germany down to second for the first time since 2014,’ the statement said. In this year’s ranking, both UK and US have slipped the charts with 186 destinations. ‘‘With stagnant outbound visa activity compared to Asian high-performers such as Japan, Singapore, and South Korea, it seems increasingly unlikely that the US and the UK will regain the number one spot they jointly held in 2015,’’ the statement said. Afghanistan and Iraq were ranked lowest on the index, as they have free-visa access to only 30 countries. 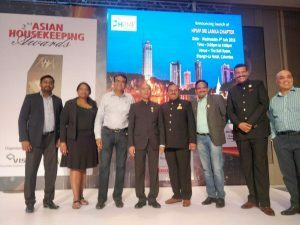 HPMF Sri Lanka Chapter was recently launched at Shangri-La Hotel Colombo during International Housekeepers Summit 2018. This will be the second international chapter after the launch of Middle East Chapter in Dubai in February 2018. HPMF has grown to over 12 Chapters in India and 2 outside India. The membership base has increased from its initial three to almost 2000 members across India and the Middle East. The launch event was attended by several industry professionals from Asia which mostly included housekeepers, buyers, General Managers and hotel owners. Soon the HPMF Sri Lanka chapter council members will be announced so that top fraternity professionals from Sri Lanka take forward the vision of HPMF to all members. Before the Annual Convention at Varanasi from October 25-27, 2018, HPMF intends to launch the Nepal and Bangladesh chapters. Mohan Deshpande, Chairman, HPMF was thrilled on the overall turn-out of the hospitality professionals at Summit. 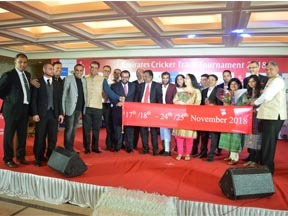 Continuing with its agenda to inspire the spirit of sportsmanship among the travel trade, Emirates Airlines will organise the third edition of its ‘Emirates Cricket Trade Tournament 2018’ for the travel trade in November in Mumbai. The League matches will be held on November 17-18, 2018 and the semi-final and final matches will be on November 24-25, 2018 at Islam Gymkhana. The cricket trophy was also unveiled in a pre-event networking event where it invited all the team members. Essa Sulaiman Ahmad, VP-India & Nepal, Emirates, was present at the networking party and wished the players all the best. The matches will be powered by DTCM, Amadeus and Reckon Travels & Holidays. The previous edition played in 2016 had 416 players in 32 teams playing 45 games over four days over two weekends. Foreign Tourist Arrivals (FTAs) this February were 10.53 lakh as compared to FTAs of 9.56 lakh in February 2017 and 8.49 lakh in February 2016, according to the latest data released by the Ministry of Tourism. The growth rate in FTAs in February 2018 over February 2017 was 10.1 per cent as compared to 12.7 per cent in February 2017 over February 2016. FTAs during the period January-February 2018 were 21.19 lakh with a growth of 9.2 per cent over the same period of previous year, as compared to the FTAs of 19.40 lakh with a growth of 14.6 per cent in January-February, 2017 over January-February, 2016. The percentage share of FTAs in India during February 2018 among the top 15 source countries was highest from Bangladesh (18.28 per cent) followed by USA (12.40 per cent), UK (11.75 per cent), Canada (4.36 per cent), Russian Federation (4.20 per cent), France (3.24 per cent), Malaysia (3.14 per cent), Germany (3.04 per cent), Sri Lanka (2.89 per cent), China (2.33 per cent), Japan (2.09 per cent), Thailand (1.92 per cent), Afghanistan (1.65 per cent) and Nepal (1.41 per cent).